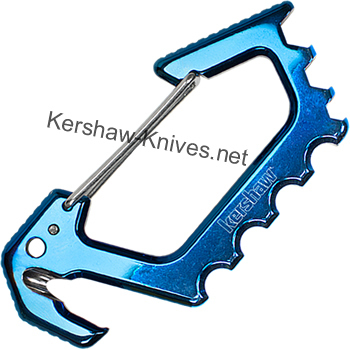 Kershaw Jens Carabiner Blue 1150BLUX. 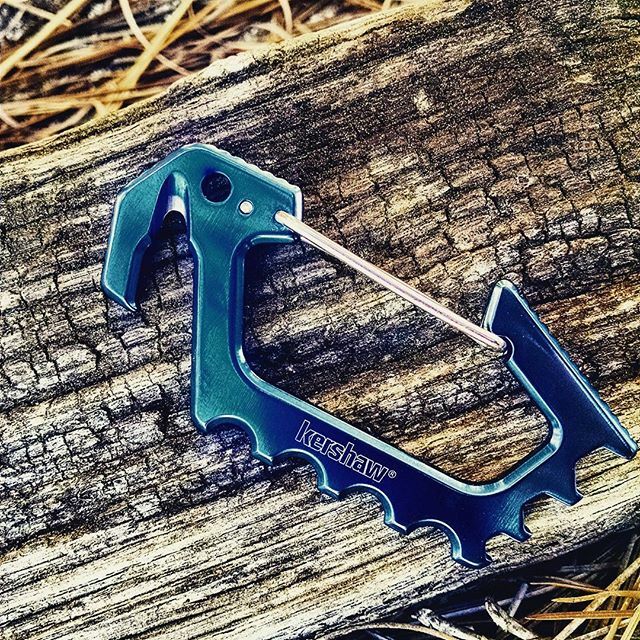 All blue carabiner, just push on the hook and attach it to your pants or jacket. It is perfect for cutting cords or seat belts. It has a built in bottle opener and hex drives: .125, .1875, .25. This is non load bearing. Made of steel with polished titanium carbo nitride coating. 3.6 inches overall length.